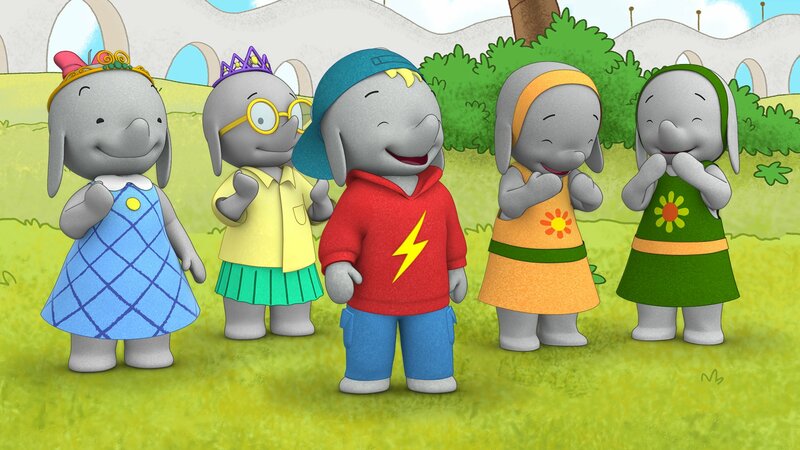 A spirited little elephant girl named Ella has adventures with her three friends. Belinda starts an exclusive club. Ella and the kids set out into the forest to earn their Trunk Trooper Badges. Ella turns her backyard into Camp Ella for a sleepover. Ella needs to decide on a special act for the talent show. Captain Kelp asks Ella to take care of his lighthouse. Ella and the kids go for a bike ride around the island. Along the way, Ella loses her hat. Ella loses Frankie's toy helicopter. The gang enters a kite flying contest. Ella has a tea party. Ella and the kids want to paint a mural over the new scoreboard. Ella goes to the carnival. Ella helps curmudgeonly Mr. Mercer; Ella's doll is accidentally sold. Belinda invites Ella and Tiki to a sleepover; Belinda, Tiki, and Frankie all want Ella's help. Ella races for Frankie; Ella learns to take her time. A fun day at Snowy Island turns bad. Someone has a case of the hiccups! Ella is excited for her upcoming birthday but her friends are acting strange. Frankie wants to set a record; Ella thinks Tiki is moving. After reading their favorite comic book, Ella and Frankie decide to become helpful Elephant heroes. Frankie challenges Belinda to a dance-off; Ella starts a school newspaper. Ella switches Frankie and Belinda's assignments; Tiki's friends help her complete a quest. Frankie carves the perfect pumpkin on Halloween and can't wait to show Ella and the gang. Ella and her friends have a special sleepover at the museum; Ella's grandmother visits. The kids help out in Mayor Blue's office when he's suddenly called away. A famous filmmaker comes to Elephant Island; Ella's Dad takes the kids out on his ship. Ella and Tiki are invited to a fancy sleepover; Belinda, Tiki and Frankie run for class president.